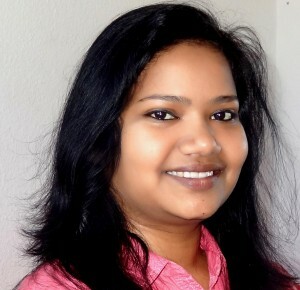 In March 2015 the SFB 829 Starting Grant for Female Postdoc was awarded to Dr. Snehlata Kumari. The SFB 829 will fund Dr. Snehlata Kumari’s research for the next two years to promote her scientific independence. With this Grant the SFB wants contribute to the growth of the representation of female scientists in leadership positions. We now spoke to Dr. Snehlata Kumari. SFB 829: Sneha, the SFB 829 “Starting Grant for Female Postdoc” was recently awarded to you. Congratulations! Tell us about your project. Sneha: Thank you very much!! One of the major concerns in melanoma patients is the recurrence of the pathology even after therapy. The melanoma has potential to modulate the cytokines within the tumor microenvironment to sustain its existence. Cytokines are the key molecules that are secreted from various cell types, and can impact the melanoma initiation, progression and metastasis. Since IL-20 family cytokines are very crucial in maintaining skin homeostasis and exhibit several functional characteristics that could potentially impact the melanoma microenvironment, my aim is to investigate the functional role of IL-20 family cytokines in the melanoma pathogenesis. SFB 829: What was is it that got you interested in studying the cytokines in melanoma cancer? Sneha: The vision of providing a well-defined understanding of the cytokine-related mechanisms in melanoma for a better therapeutics drives my interest in studying the role of cytokines in melanoma cancer. SFB 829: Why did you apply for the SFB 829 Female Starting Grant? Sneha: SFB 829 is an excellent platform that promotes skin-associated work, which can be translated into clinical therapy and therefore this was a great opportunity to bring my ideas to the bench. SFB 829: What opportunities does the award provide you? Sneha: The award provides me the opportunity to learn more about managing the independent responsibilities with regards to time, money and priority distributions. SFB 829: Do you have any advice for other young female scientist (PhD/Postdocs)? Sneha: Take up the challenges, work on and approach it with enthusiasm to add up strength and to reach your scientific and career goals.